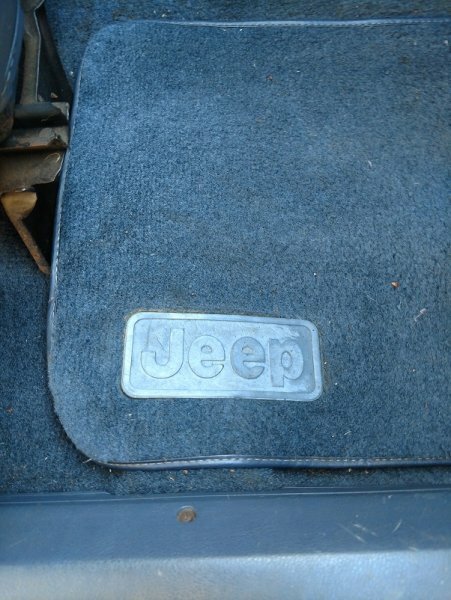 The bedliner actually says Comanche on it so figure that came from the dealer/factory - have all four of the Jeep mudflaps on it and the original floor mats with the Jeep logo. 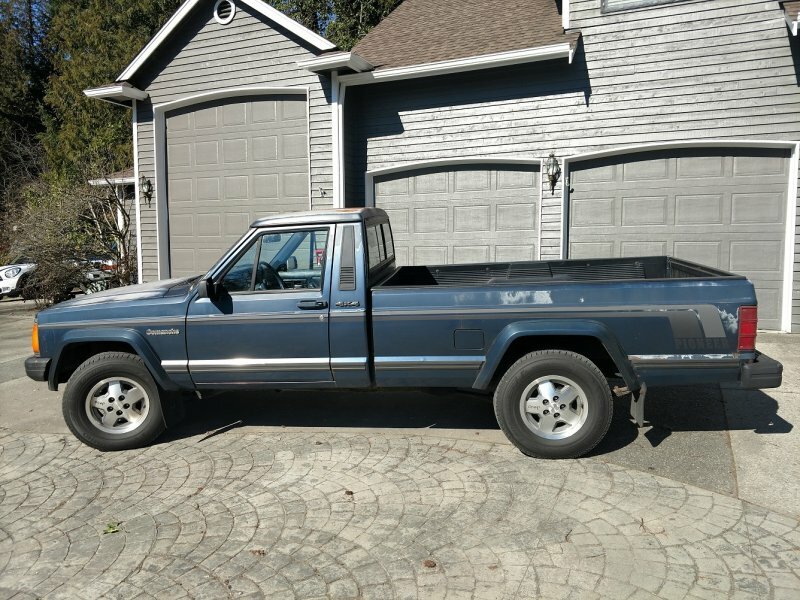 I am not expert, but the seller seemed like a good guy and I think he sincerely believes the miles - have no reason to doubt it, looks legit to me. Headliner and Sunvisors are trash - will make sure I keep the headliner backer board. Lot of surface rust on top of the cab - going to get that sanded and covered with primer at least asap. 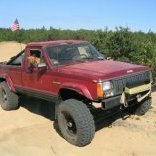 Had a couple of XJ's for the wife to drive around when the kids were little - always liked the rig for what it was, but never really invested any time in them, they were just grocery getters - had a Cj7 back in college - had fun with that but not really any money or time for upgrades, just kept it on the road. 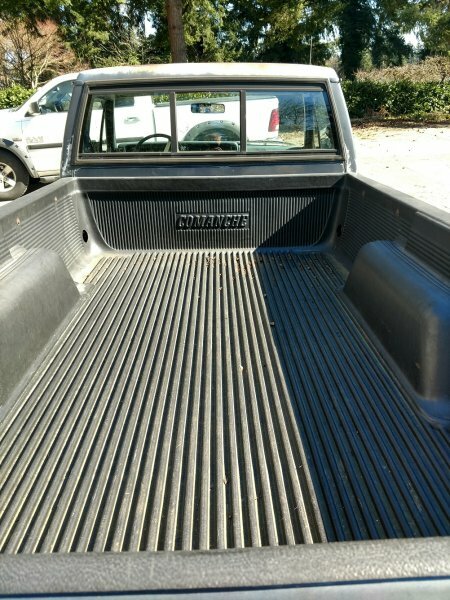 Going to set this one up as the house truck, trade in the old F150 maybe get it up high enough to fit 32-33's under it for looks and just enjoy it - probably get some paint on it before Summer rolls around. Welcome to the addiction for sure! That is a good looking survivor for sure. I will say 4.5" lift fits 31's nicely and makes for a good DD. Nice find, the body looks to be very good and straight. That will make an excellent project. Wow, great find and welcome to the club. Keep the pics and updates coming! 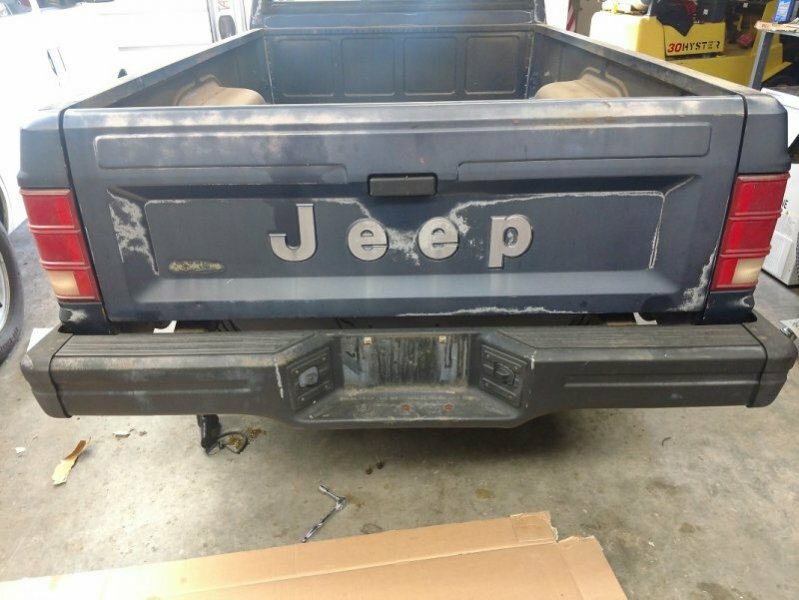 Let's see that OEM rear bumper. We get excited about the little things. Topped of the tank on the inaugural trip - parked it at a store for 20 minutes, came out and found fuel leaking under the tank......went home & siphoned 3 gallons out, got the leak to stop. 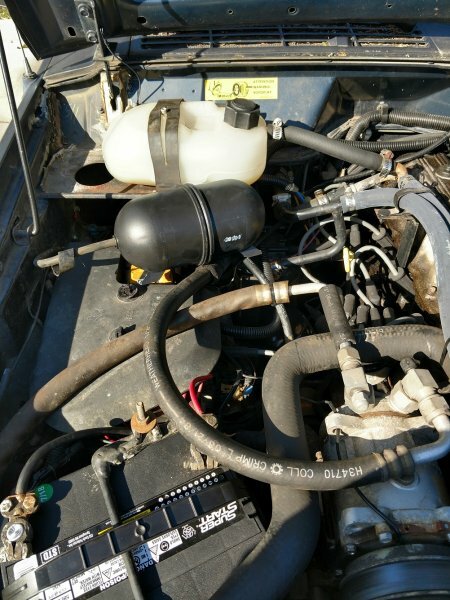 Suspect the vent/rollover valves on top of the tank may be the issue - have not confirmed yet - have a 4 post lift (Amazon special) that we just set up in the garage got my Sierra on there now but will get the Jeep on there to take a close look at that tank. 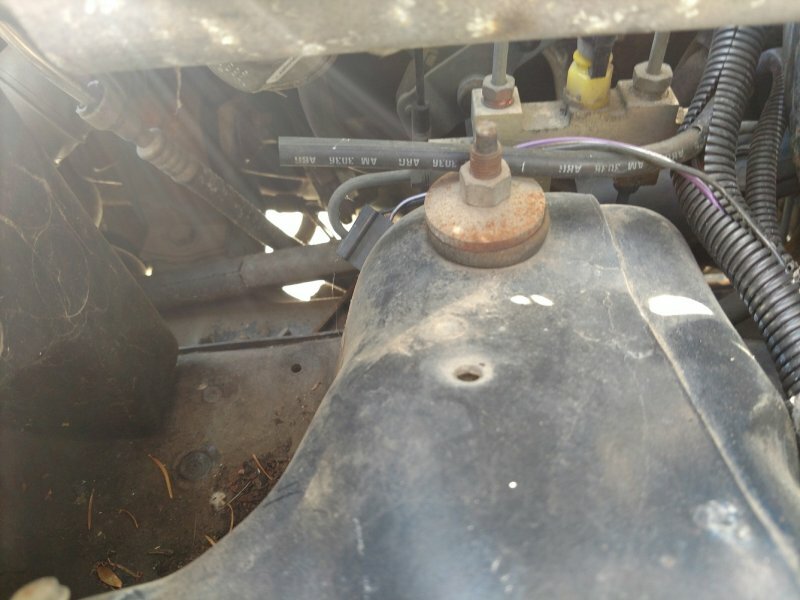 2nd problem was next trip out - no start leaving the bank, no power to anything....I had read on here that on the Renix MJ's the grounds are an issue - so I popped the hood and started jiggling wires - couple of tugs on the battery cables got it to fire right up. Went home and took a closer look at the battery connections - the positive cable pulled right out of the terminal end! Replaced the terminal on the Positive lead and figured problem solved......wrong......no start again the next day, tugged on the neg lead off the battery and fired right up - so going to completely go over all of the grounds and cables and get this squared up. This can't be the correct spot for the Vacuum accumulator? That tank supposed to be laying up there on top of the motor? 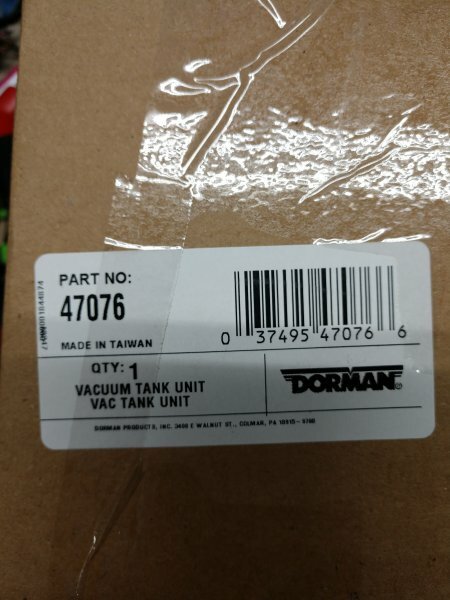 Where is factory location for this tank? 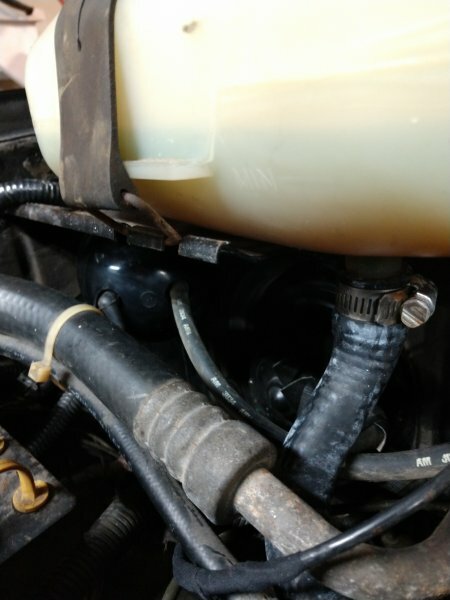 Next pic shows an unconnected Vac line on the Drivers side under the brake reservoir - anyone know where this one is supposed to go. And my favorite: what is this connector? Found it laying like that (disconnected) and after re-connect did not seem to change anything. Vacuum reservoir is originally mounted behind front bumper. 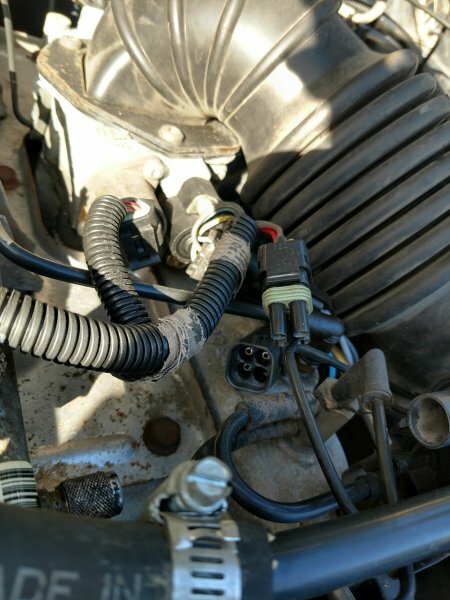 The connector and hose are for the windshield washer. The four hole connector is for the TPS if it was an automatic. Ok, looks like PO just put a new reservoir in there trying to fix HVAC issues (only blows through defrost - had that happen on an Astro van and it was vacuum problems) - will look and see if the original reservoir is still down there. Windshield washer - thanks, that's on me never even checked to see if the washer worked. Any time. I bought a small reservoir and mounted it under the coolant tank. It's much cleaner. Boat is 17' Crestliner Superhawk - hull weight 1100 lbs, Neverrude Etech 115 hp motor is 300 lbs, 'rude kicker 75 lbs, fuel, gear & beer another 200 and the trailer clocks in at ~750 lbs...haven't run it across a scale yet, but figure total pulled weight is right around 2500 lbs. 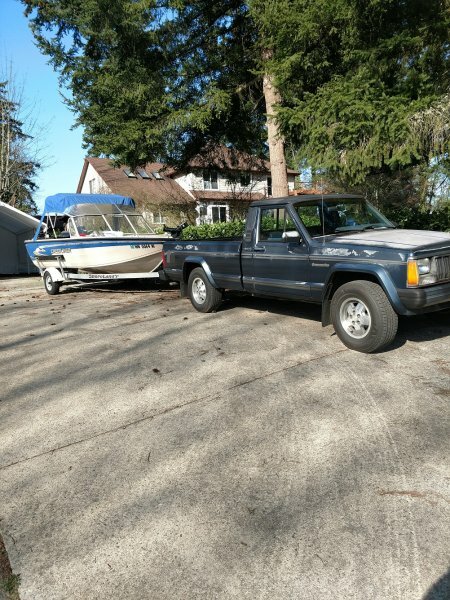 Haven't had it on the road yet (not with a bumper hitch) but just moving it around the property can't even hardly feel it back there - been dragging fishing boats around here for 30+ years, towed my first boat all over hell with a CJ - (don't do that by the way - very bad idea, somehow managed to avoid disaster but CJ is a terrible towing rig) and expect this rig will do ok.
Can see in the pic - sanded all the surface rust off the roof, rattle canned some etching primer and then some flat black over that - not my best work, but just didn't want to look at the rust - will get cleaned up when it goes in for paint next month. Going to keep the original color - Baltic blue. GREAT looking truck, and it looks like you got some really desirable accessories with it too. As to the plastic - be careful, but don't worry TOO much. 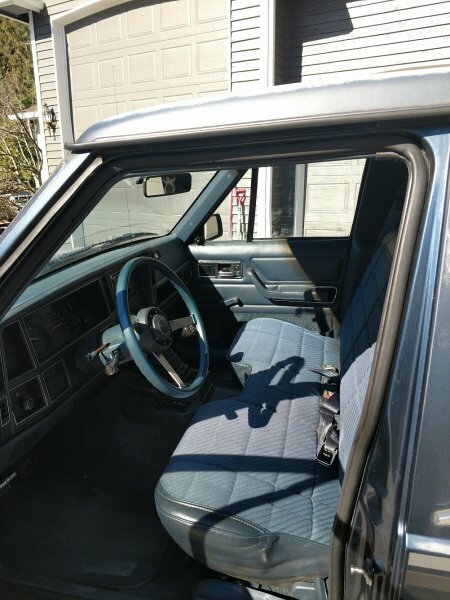 In my experience, the plastics in an MJ interior are more durable than others of the time, with GM coming in at the absolute bottom of that list. You'll still want to have a gentle hand, but don't expect the interior to crumble at the slightest touch. The biggest thing is to be careful with the screws. Overtightening them will break the tabs. I've had some success epoxying washers into the spot that the mounting tab broke off of. If the air blows out of the defrost vents only, it's almost certainly a vacuum issue as you mentioned. The most likely place is in the big line that runs to the reservoir's OEM location (behind passenger side of bumper) up the passenger side of the engine bay. For the fuel leak, the first place I would suspect is on the side of the tank where the sending unit goes in. The o-ring between the sender and tank can leak, as can the pipes on the sender itself. Check the fill hoses on the driver side of the tank too. There are a bunch of places water can leak onto the passenger side floor. The easiest one to get your eyes on is probably the antenna grommet under the passenger side kick panel. The windshield and the gaskets where blower motor and HVAC pipes go through the firewall are big leakers too. 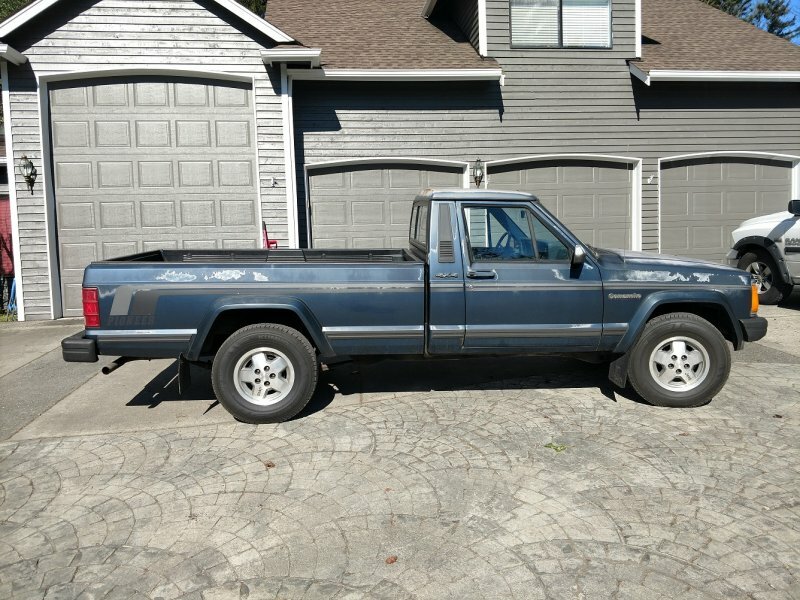 Brother says Line-X the whole thing and be done with it..... Like the idea but couldn't bring myself to do it to such and original intact truck. 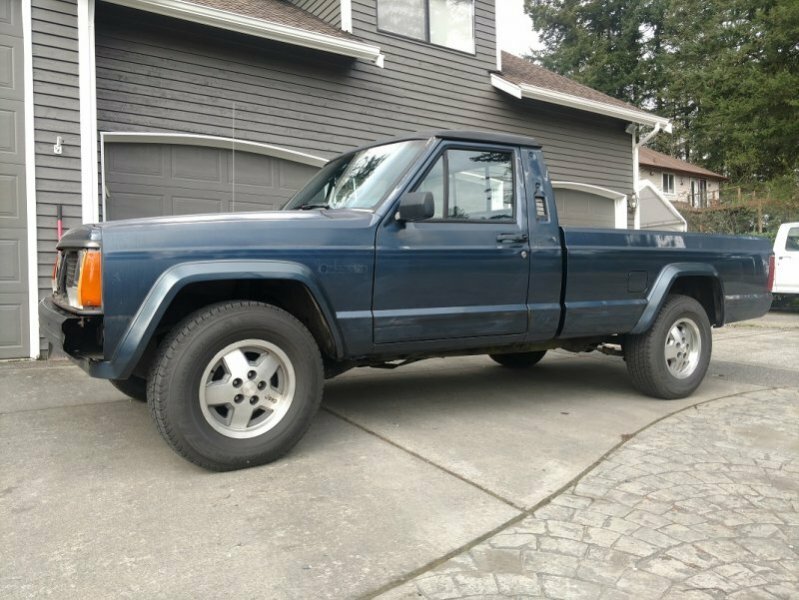 So, paint is happening sooner than later (she know where I sleep) - went and negotiated with my paint guy, goes in next week. Sticking with factory Baltic Blue (or as close as he can get) base coat/clear coat. To keep costs down, agreed to pull as much stuff off this weekend as possible - started last night with the emblems and cab vent covers. Emblems (not the jeep one on the front - still have that to do) are just stuck on with adhesive - 3" putty knife popped those right off. 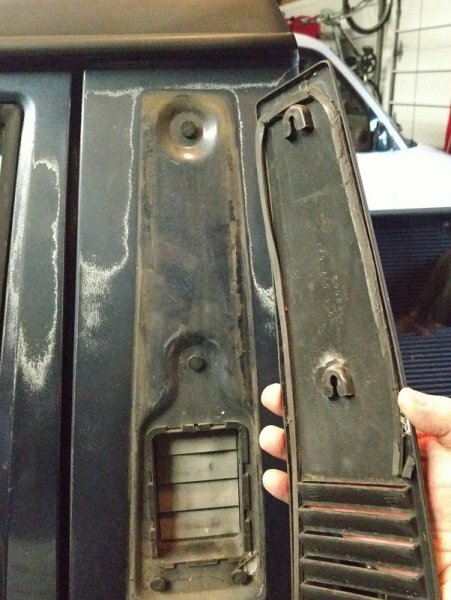 The vent covers are held on with pins on key hole slots - there is a little seal that runs around the outside edge that was kind of stuck to the cab (30 years will do that) so went carefully around with the putty knife to break that lose and they popped right off. Debating on putting the Pioneer hockey sticks decal back on after paint, will see. 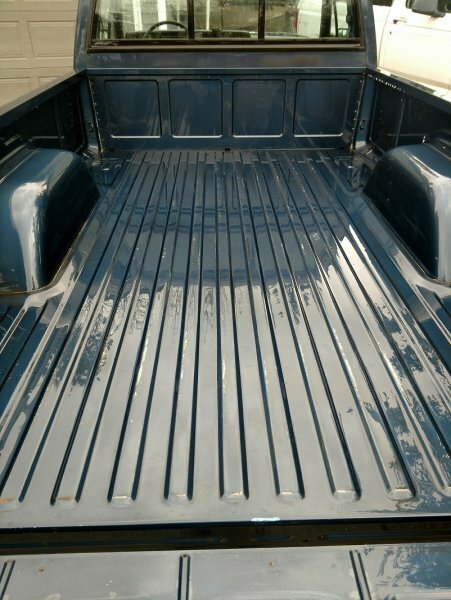 I would pull the header panel too and have it painted separate, but that's just me. I decided not to put the hockey stick emblems back on my Pioneer when I got it painted the first time and I have always been happy that I went with the clean look, especially since I got it painted again ten years later, probably a lot of work to take off. 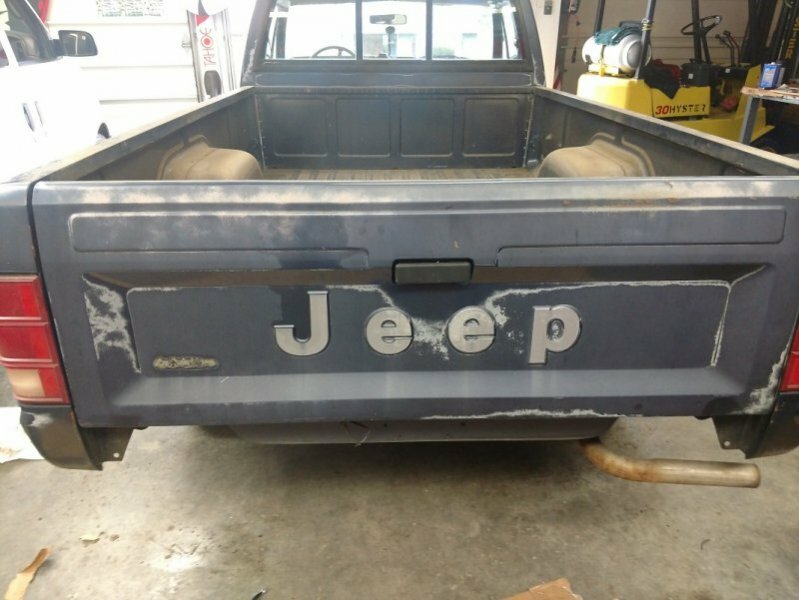 Took out the factory bedliner - pretty sure it's been on there for 30 years, you can see paint loss where it has been rubbing, but no rust and no dents. Figured out how to get the end caps off the front bumper - my meathooks are WAY to big to fit in there easily, but eventually got them off. Heat gun took the Hockey sticks right off - got it debadged and de-hockey stickered ready for paint. Wussed out on trying to remove the flares - tried one nut after soaking in PB Blaster and snapped the stud right off - that is now the paint guys problem. Should get it back this weekend. the studs are made of such crappy metal that they are more or less sacrificial. have a plan for re-installation after most of them snap off. have a plan for re-installation after most of them snap off. I used stainless bolts and fender washers for the flares on my trailer. I didn't even do every hole. I think it was 5 per side. Got on the schedule last week and will have the truck back by this weekend? That's a helluva turnaround for a full paint job. 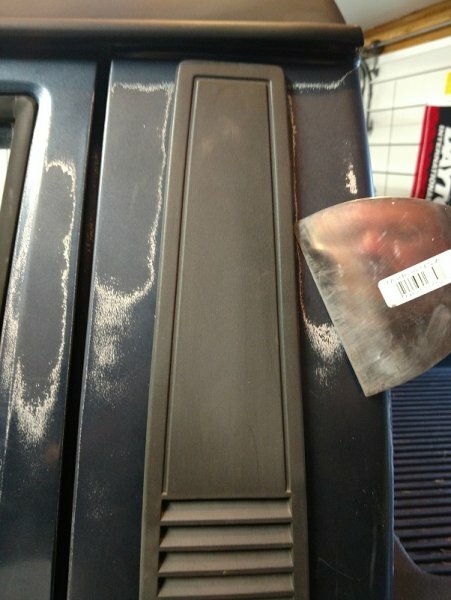 If you remove the rear window trim, do so carefully. Those are hard to come by these days. You may need to re-use it. Maaco said they could knock it out in a couple days....been there done that.